Guests: John Batchelor, Dr. Robert Pappalardo, Dr. David Livingston. Topics: NASA JPL Europa Mission. You are invited to comment, ask questions, and discuss the Space Show program/guest(s) on the Space Show blog. Comments, questions, and any discussion must be relevant and applicable to Space Show programming. Written Transcripts of Space Show programs are not permitted without prior written consent from The Space Show (even if for personal use) & are a violation of the Space Show copyright. We do not permit the commercial use of any Space Show program or part thereof, nor do we permit Space Show programs to be edited, placed on YouTube, or other private channels & websites. Space Show programs can be quoted in news articles, papers, academic & research work but must be cited or referenced in the proper citation format. Contact Dr. Livingston for questions about our copyright and trademark policies which we do enforce. This program is archived on The Space Show website, podcasting, and blog sites with permission from John Batchelor. Please visit the John Batchelor Show website for more information about this fine program, www.johnbatchelorshow.com. Remember, your Amazon Purchases Can Help Support The Space Show/OGLF (www.onegiantleapfoundation.org/amazon.htm). For those of you listening to archives on live365.com & rating the programs, please email me the reasons for your rating. This will definitely help improve Space Show programming. Thank you. Please note that audio and transition issues are a result of copying the John Batchelor broadcast & are not within my control as they originate in the Batchelor studio. John Batchelor and I welcomed Dr. Robert Pappalardo, the NASA JPL Mission Director for the upcoming Europa Mission. John started out by asking our guest why the need to go to Europa. Dr. Pappalardo explained the significance of going to Europa, the science that will be done as a result of this mission, the search for life which may exist in the subsurface oceans and more. I asked our guest about the mission's instruments which Dr. Pappalardo then briefly discussed. He also spoke about the need to learn more about the oxygen cycle regarding the possibility of organic molecules. We talked about the Europa mission orbiting around Europa 45 times or so, coming very close to the surface, as it orbits Jupiter since the mission does not have a lander. Bob also spoke to high degree of sensitivity of the sensors and what they can do when they fly very low over the Europa surface. As for travel time to Europa, it depends on the launch vehicle used. Using the new SLS which is under design would take about 3.5 years. Something like an Atlas 5 might take up to 9 years. Please post comments/questions about this program on TSS blog above. 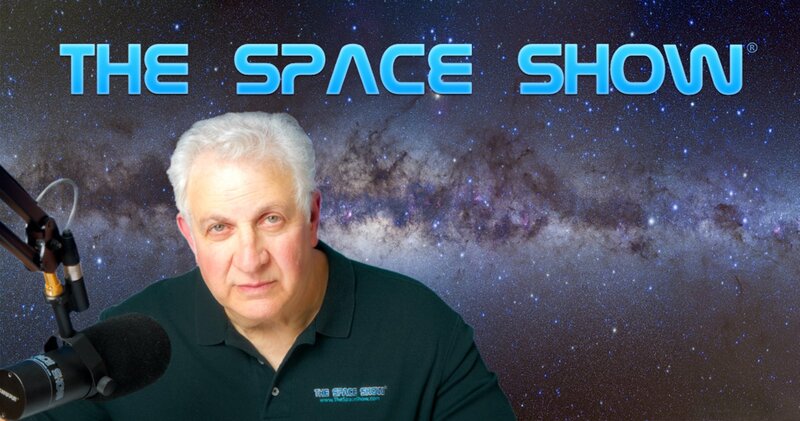 You can email Mr. Batchelor or Dr. Pappalardo through me at drspace@thespaceshow.com.